The program will also be available via HCN’s VOD site: https://hcn.viebit.com. This new quarterly program is made possible by not-for-profit Carsins Run at Eva Mar, Harford County’s first and only continuing care retirement community. 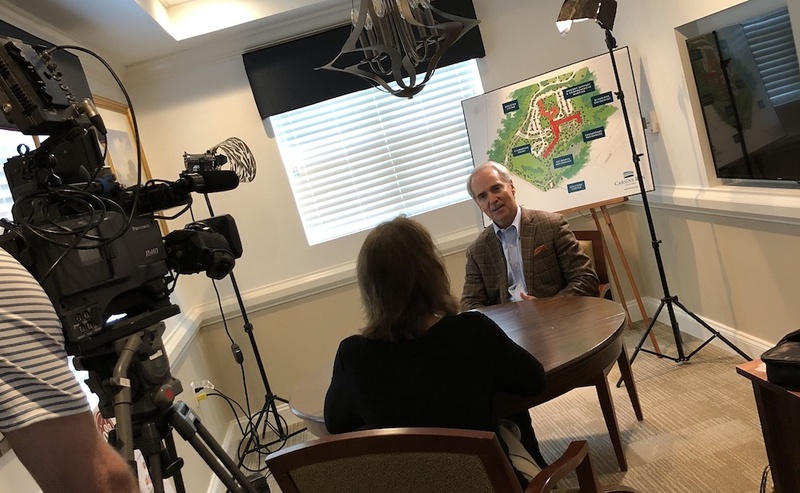 “Living Well” is a 30-minute program consisting of several short segments that will feature senior lifestyle stories that include interviews with experts on a variety of topics. The show will be hosted by Terry Trouyet known for his voice on Harford Community College’s WHFC Radio. Sue Shea, President and CEO of Carsins Run, will open each program with a welcome as the proud sponsor. David Ratchford, President and CEO of nationally recognized senior living research firm Spectrum Consultants, will share national trends in senior living. Jim Harkins, former Harford County Executive and Carsins Run board member, will chat about how he started planning for seniors when he was county executive and the needs he sees today. John and Deb Verbillis, Harford County seniors, share their story about wanting to stay in Harford County in retirement and how they are making that happen. Terri Broemm, R.N. from University of Maryland Upper Chesapeake, will talk about how our bodies and tastes change as we get older and the differences between nutrient poor and nutrient rich foods and more. Carolyn Evans, Esq of the law firm Sengstacke & Evans, will talk about why it’s so important to have Power of Attorney, Advance Medical Directives and Will documents in place sooner rather than later. Joyce Browning, Horticulturist with the University of Maryland Extension, will teach us how to spice up our meals and amp up nutrition by planting micro-greens, milk jug lettuce and constructing salad box gardens that will fit in any space. Val Collins, Ph.D., a health and wellness instructor, will show us how to adapt traditional Yoga poses for people with balance issues.